A number of firefighters in South Yorkshire are now able to deliver vital safety advice to hard of hearing and deaf people thanks to students and tutors at Communication Specialist College Doncaster. Crews in Doncaster have been learning basic British Sign Language (BSL) in order to improve their communication skills when attending incidents in their local communities. Tutors tailored the sessions specifically to the needs of the fire service to include words and phrases that would be needed in the event of a fire. To put their new skills to the test, crews also took part in a realistic fire exercise based in the residential facilities at the college. Students played a part in the scenario which saw firefighters having to communicate using BSL in order to direct students safely of out the building. Fire Community Safety Officers have been visiting pupils at the college to deliver fire safety training sessions on what to do in the event of a fire and how to prevent one from occurring. Stacey Betts, assistant principal at Communication Specialist College Doncaster, said: “We are really pleased to be working closely with the fire service and believe that this will be hugely beneficial to our students. A firefighter from South Yorkshire Fire & Rescue has just returned back to the UK after spending two weeks improving fire safety in migrant camps in South Sudan. Clare Holmes, a watch manager on Rotherham blue watch, was part of a team of six volunteers who were approached by the ‘Women in the Fire Service’ network to visit the camp, after a request they’d received from an aid charity. During the two week trip, the team provided ‘train the trainer’ courses for United Nations (UN) camp staff which included community fire safety advice and burn and scald prevention information. Clare and the team also carried out a fire safety assessment of the camp, which is occupied by roughly 120,000 people. Many camps in South Sudan can hold thousands of people living in makeshift accommodation in close proximity to one another, with schools, hospitals and markets all adding to the risk of fire. As well as this, all cooking takes place on open fires and fire service response is limited. Clare said: “The greatest risk in camps like the one we visited in South Sudan is during the dry season which runs from November to March, so it was important to put into place fire safety measures as soon as possible. “The community were very receptive to our visit and found the training and advice very beneficial. The site staff that we trained will now be able to pass on fire safety guidance to thousands of people living in the camps and hopefully reduce the risk of a fire starting. The trip to South Sudan was supported by Fire Aid, a charity which provides donations of fire and rescue equipment and training to those in need of such assistance. The charity recently visited South Sudan in March 2018 and identified a number of substantial fire risks including a lack of awareness of fire safety. It was from this that Women in the Fire Service were asked to request if any of their members could volunteer for a second visit to the country. It is hoped there will be a follow up visit in 2019. 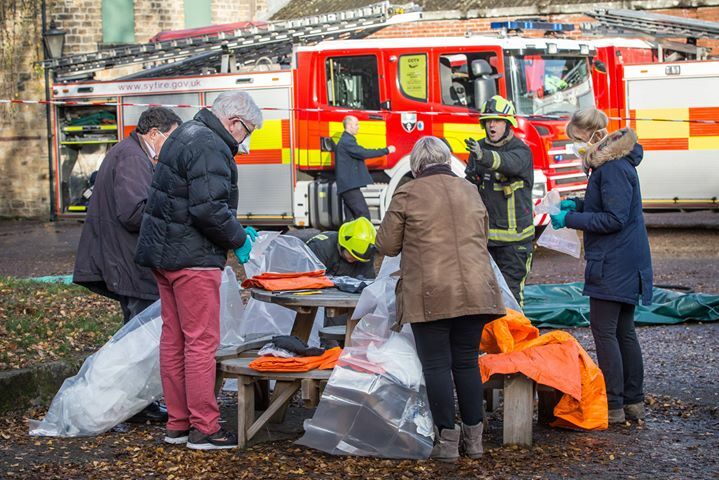 South Yorkshire Fire and Rescue crews from the Barnsley District recently carried out an operational exercise at the Elsecar Heritage Centre in Elsecar. The exercise was created to test the skills of crews when responding to an incident in which an unknown hazardous material is involved. Elsecar Heritage centre staff played a key role on the day by undertaking role play, allowing crews to deal with real-life casualties. Delroy Galloway, station manager at Tankersley fire station, said: “Realistic training of this type allows crews to take part in training scenarios that prepare us for actual incidents in the future. This exercise was designed to improve operational effectiveness, firefighter safety and public safety and at times of heightened security. 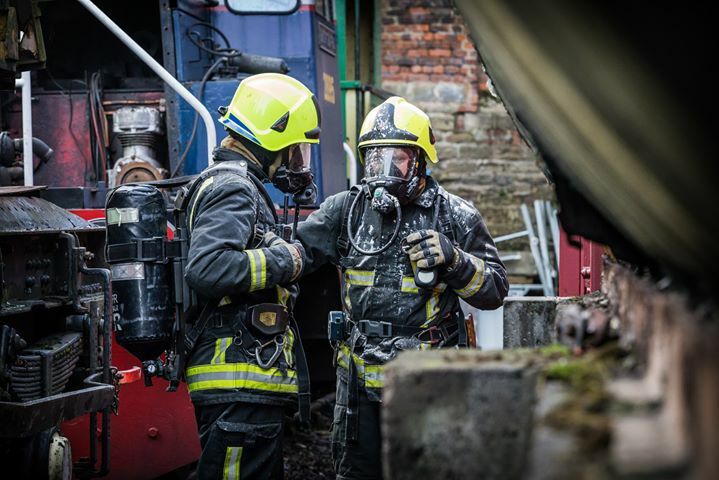 This is the second exercise South Yorkshire Fire & Rescue has undertaken at the site and other scenarios are being planned to allow crews to train in a realistic environment alongside personnel at the railway site. Elsecar Heritage Railway runs steam hauled trains and diesel locomotives for members of the public on a regular basis. Fire and rescue services in South and West Yorkshire have saved the taxpayer thousands of pounds by working together to buy new rescue equipment to deal with road traffic collisions. A contract of nearly £1.25 million has been awarded to Weber Rescue UK for the supply of new battery powered cutting equipment to South Yorkshire Fire & Rescue and West Yorkshire Fire & Rescue Service. The joint procurement has saved both services time and money- but leaders say it will also make training and maintenance more efficient in the future. A project team at South Yorkshire led on the process of procuring the equipment whilst team members at West Yorkshire directed the research and development phase of the project. The specialist cutting gear is to be used primarily at road traffic collisions to safely remove casualties from vehicles. The new equipment will replace old cutting gear within each service and by January 2019, it is expected that all appliances at both services will be modified to include the new battery powered rescue equipment. Having a standardised provision in cutting gear across both services will ensure that rescue equipment is compatible when crews attend over-the-border incidents. All firefighters at both services will be trained in using the equipment, enabling more efficient and effective working between the two services at incidents within each county. The new pieces of equipment also bring operational benefits such as an improved cutting force and a longer run time helping to reduce the time to gain access to people who are trapped and injured. Minister for Policing and the Fire Service Nick Hurd, said “This kind of collaboration is great to see and the results are clear – it saves time for firefighters and saves money for taxpayers. The joint procurement project comes following the publication of procurement data information in 2016 by the Home Office. The report found that fire and rescue services were paying similar prices for equipment but purchasing separately, despite financial and operational benefits of buying together. Fire and rescues services in the UK are now being encouraged to do more collaboratively to drive down the amount spent on essential goods such as frontline equipment and workwear. The Policing & Crime Act 2017 also received Royal Assent on 31 January last year, placing a new statutory duty on emergency services to look at opportunities to work with one another better to improve efficiency and effectiveness. A volunteer at South Yorkshire Fire & Rescue has been thanked for her actions after helping an elderly couple when their car broke down on a busy main road in blistering heat. Andy Swarek, who has been volunteering within the service for six months, was on her way home from an event in Conisbrough when she came across the elderly couple who appeared to be stranded at the side of the road. Mavis and George White, both in their late 70’s, had broken down on a busy road in Doncaster and had been told there was a four hour wait for a recovery vehicle. Despite the soaring temperatures, Mavis and George stood for 90 minutes with jump leads at the ready in the hope that a bystander would come to their aid. After having been passed by hundreds of motorists, it was Andy that eventually pulled over to help jump start the couple’s car. Andy is a volunteer cadet instructor within the service. 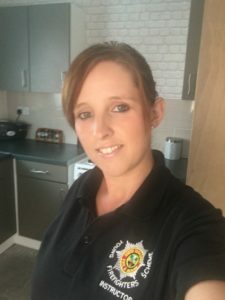 Her role involves working with 13-18 year olds, teaching them about the importance of fire safety including various firefighting skills and techniques. South Yorkshire Fire & Rescue has scooped two gongs at the Cutlers’ Company Police and Fire Service annual awards. Station Manager Chris Mee took home the individual prize for his achievements in providing realistic fire training to firefighters. The training, developed in partnership with Barnsley Council and Berneslai Homes, involved the lighting of real fires within soon to be demolished residential properties, providing firefighters with realistic training scenarios. Due to its success, the project has been widely discussed up and down the UK as a potential opportunity for other fire and rescue services to explore. Thus far, over 150 South Yorkshire operational staff members have gained valuable realistic experience from these exercises. The service’s Business Fire Safety team were recognised for their local work in response to the Grenfell Tower disaster. Alongside carrying out usual business fire safety activities, the team coordinated and undertook fire safety audits at 43 Local Authority High Rise residential buildings and 44 at privately owned high rise buildings within South Yorkshire, met with hundreds of residents and delivered specialist training to firefighters. The awards, which took place in the Cutlers’ Hall, Sheffield, were presented by the Master Cutler, Ken Cooke. Firefighters are warning the public about the potential dangers posed by purchasing unbranded electrical goods on the internet after an incident in which a battery bought online caught fire. Crews from Elm Lane, Rotherham and Parkway green watch recently attended the incident in Kimberworth, Rotherham. Upon arrival crews found that the battery, which was for a head torch, had set alight whilst on charge and the fire had quickly spread to the kitchen units. This had caused a large amount of smoke logging in the property, damaging the hallway and stairway. Luckily, the property had two new working smoke alarms which had been fitted by the fire service and they successfully alerted the occupier, who was sat in the rear garden at the time, to the fire. Firefighters used a hose reel and breathing apparatus to extinguish the flames and also ventilated the property. Upon leaving, crews ensured the two smoke alarms that had sounded were replaced with new alarms. Chief Constable of South Yorkshire Police Stephen Watson, South Yorkshire Fire & Rescue Chief Fire Officer and Chief Executive Jamie Courtney, Police and Crime Commissioner Dr Alan Billings and Chair of South Yorkshire Fire and Rescue Authority, Councillor Chris Lamb, have today signed the joint collaboration agreement to outline the terms and vision of the collaborative work between the organisations. The strategic agreement formalises the roles, responsibilities, aims and objectives of the partnership to build on the existing and effective collaborations achieved so far. The successful collaboration programme between South Yorkshire Police and South Yorkshire Fire and Rescue was launched to build on and develop existing and future activities undertaken in collaboration between both organisations. This programme, which began in early 2017, has already led to the creation of a Joint Police and Fire Station in Maltby, Rotherham, the development of a Joint Community Safety Department and the appointment of a Head of Joint Vehicle Fleet Management and Head of Joint Estates and Facilities Management. This collaborative work continues to grow and develop and will see the organisations co-operating together to carry out joint public service functions, identify solutions and enable sharing of best practice. Dr Alan Billings South Yorkshire Police and Crime Commissioner said: “I very much welcome this Collaboration Agreement as a first step in greater working together. “The motivation is to make for more effective working together; but it will also enable savings to be made, as in the case of some joint appointments. Firefighters are urging the public not to swim in lakes and reservoirs, with the current hot weather in South Yorkshire set to continue. Safety officers say people should avoid open water- like rivers and lakes- because such areas are not designed for swimming as the water is often deeper, colder and faster than expected. Around 400 people needlessly drown in the UK every year and thousands more suffer injury, some life changing, through near-drowning experiences. People should enjoy water safely in swimming pools or safer, specialist facilities instead. Head of Community Safety Simon Dunker, said: “We often receive 999 calls during the summer months about people getting into difficulty in water. It’s only a matter of time before someone’s safety is really put at risk unless people listen to our advice. More than 20 long serving firefighters, 999 operators and support staff have been honoured at a special ceremony in Sheffield. South Yorkshire Fire & Rescue staged the event at Sheffield City Hall to recognise staff members who have clocked up more than 20 years serving local people. Chief Fire Officer James Courtney and Lord Lieutenant of South Yorkshire Andrew Coombe presented the fire service Long Service & Good Conduct Medal to recipients in front of their family and friends. The medal was instituted by Her Majesty the Queen by Royal Warrant in 1954. It is awarded to employees who complete 20 years of meritorious service. A special award was also presented to communications electrician Francis Delez who, with an incredible 51 years’ service behind him, is the fire service’s longest serving employee. Group manager Trevor Bernard was given the honour of master of ceremonies, before he retires from the service next month. Speaking at the event, Chief Fire Officer James Courtney, said: “We aspire to make South Yorkshire Fire & Rescue a great place to work, which includes recognising the efforts and achievements of our staff. As Chief Fire Officer, I therefore feel extremely proud to see so many members of our organisation recognised for the outstanding service they have given over the last twenty years or more.